As the first healthcare institution founded in 2001 in the lead of Hakan Ozornek, M.D., with the sole purpose of providing services in in vitro fertilization, Eurofertil In Vitro Fertilization Centres maintains its position as a pioneer organization that introduced and implemented the personalized treatment approach. 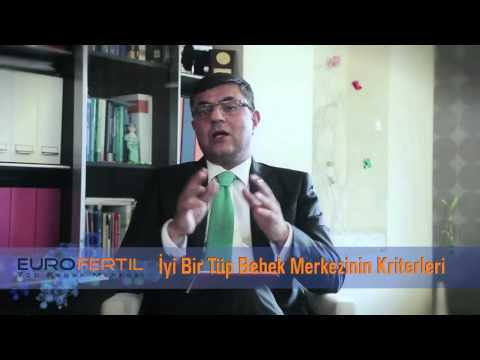 It did not take long until Eurofertil became the Top Private In Vitro Fertilization Clinic in Turkey in the lead of the CEO Hakan Ozornek, M.D., after it was founded in 2001, thanks to the unique quality of its team and work methods. All medical units , embryology, andrology and cryobiology laboratories of Eurofertil In Vitro Fertilization Centres are equipped with the cutting-edge technology in the light of the latest know-how. However, the privilege of Eurofertil comes from the unique teams that have the competence to use this technology for the approved treatment techniques. Ivf technologies would not lead to successful outcomes without the team members who utilize them in the best way possible. The difference of Eurofertil is the commitment of becoming a unique team that will touch your life, assist people in the biggest decision they make in life, in other words, making their dream of having a baby come true in the best and quickest way. The ultimate goal of Eurofertil team is to offer you only the best services; ensure that you remember an important phase of your life as an excellent experience and support you until you welcome your biggest dreams. Each new member of Eurofertil team is selected after an interview planned in detail in parallel with the corporate mission. Medical Staff of Eurofertil consists of gynaecologists and medical doctors and biologists with international experience in in vitro fertilization. Years of experience, wisdom and idealism, passion of the youth co-exist in the soul of each member in Eurofertil family.